Home > Amazon > Use Amazon Boxes to Give to Goodwill! Use Amazon Boxes to Give to Goodwill! Do you have a lot of Amazon boxes sitting around from ordering Christmas gifts? Here’s a fun promotion from Amazon and Goodwill! The two companies have teamed up to help get rid of the boxes and give back at the same time. 1. Get your empty Amazon shipping box and fill it with unwanted items you’ve been wanting to donate. 2. Print a FREE shipping label from GiveBackBox and attach it to your shipping box. 3. Drop the box off at your local post office. You donations will be delivered to the closest participating Goodwill! Electronics aren’t allowed in the box, but you can pack them with clothing and other household goods. 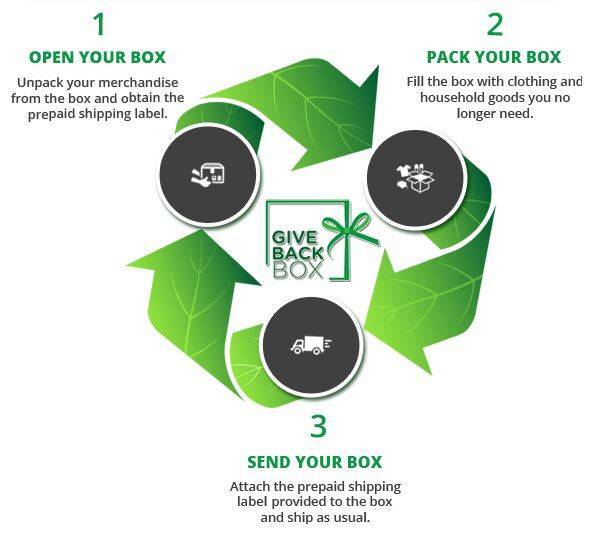 For more information, you can visit GiveBackBox’s website.